Posted on February 1, 2018 at 9:35 am. There’s more games to be found at Karamba this month, with the casino site adding titles from iSoftBet and NextGen Gaming to its repertoire. Eligible players at Karamba can give these games a go in instant-play mode with no downloads required, with slot games available to play for free in practice mode or for real money bets if you’re from an eligible country. 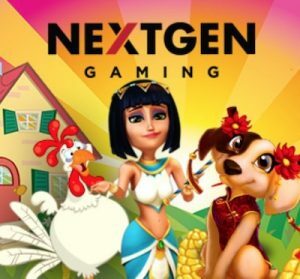 NextGen is one of the leading software developers of slot games for both online and land-based markets, with over two decades experience in the gaming industry. As part of the NYX Gaming Group, NextGen games are known for their high level of player engagement, high quality graphics and animation, and fun game themes. The developer has earned a solid reputation within the online gaming industry, with licensing from the UK Gambling Commission to attest to its status as a reliable, premium gaming provider. The NextGen company mission is “to always strive to create games that deliver extraordinary entertainment and quality – with integrity and in collaboration with our partners.” Players at Karamba can now access such popular NextGen titles as Wonder Hounds, Cleo’s Wish and Funky Chicken. 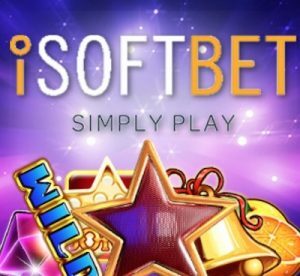 iSoftBet games have become increasingly popular at online casinos over the past couple of years, with the brand most well-known for obscure licensed movie and TV titles and a range of progressive jackpots. With head offices operating out of London and Luxembourg, the brand holds certification in multiple jurisdictions, including Italy, Spain, Belgium, Portugal, Alderney and the UK, with a game suite that includes a wide range of original video slots and a unique collection of games optimised for both desktop and mobile. Eligible new players at Karamba can claim a sign-up offer that includes a 100% matched deposit bonus capped at €200 when depositing real money for the first time. Real money play is available for adults 18+ only. Terms, conditions and wagering requirements apply, so always read the fine print and always gamble responsibly.